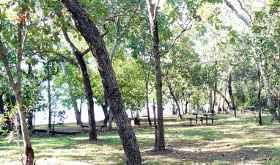 The Manton Dam water sports area provides for boating, skiing, fishing and swimming a short distance from Darwin. 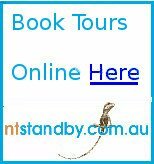 Turn right off the Stuart Highway about 5 Kilometres south of the Manton River Bridge and a few kilometres on you arrive at the car parks, boat ramp and picnic areas along side the water. The Dam is open from 9am to 5pm on weekdays and from 8am to 7pm on weekends and public holidays. The area is closed each night and no camping is permitted. 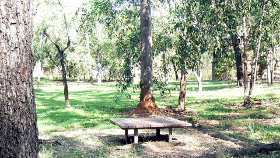 There is also a picnic area and historic information site at the dam wall itself, which is accessed via a short sealed road from the Stuart Highway at the Manton River itself. 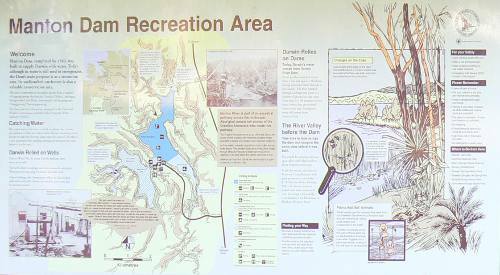 The water area is divided into three regions for swimming, boating or fishing and signs at the park provide information maps for the different sports. Near the dam wall the water is off limits to all access, and a boom of buoys marks the end of the recreation area. 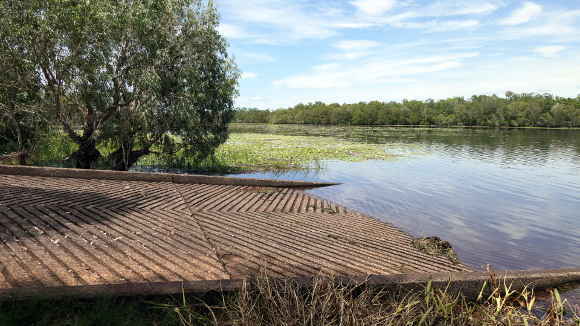 A well maintained boat ramp provides access from the car park if you want to launch a boat for skiing or fishing. 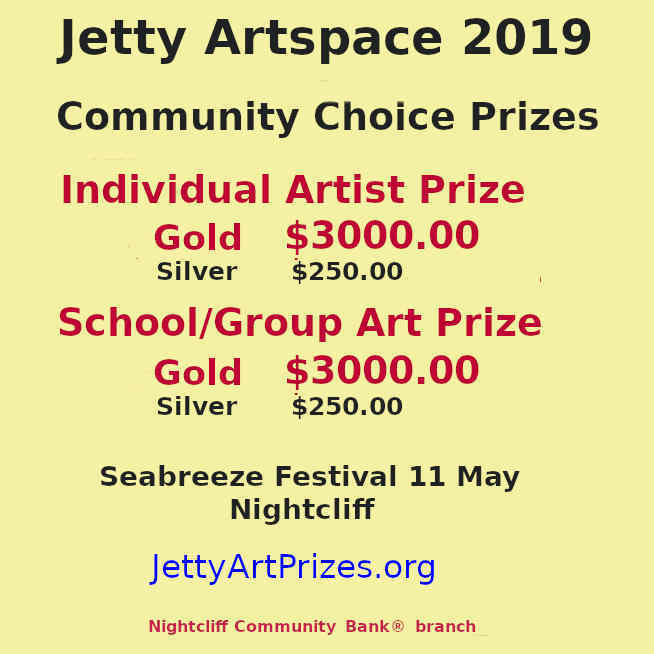 There is plenty of parking directly behind the boat ramp, and more parking behind the picnic area immediately before the main car park. 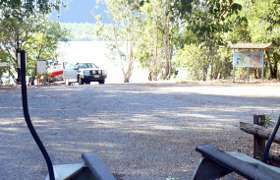 A short distance to the left of the boat ramp is a small sandy beach and a large picnic area with several sets of tables and benches. This is still in the designated high speed boating area - the designated swimming area is a couple of hundred yards to the right of the boat ramp. 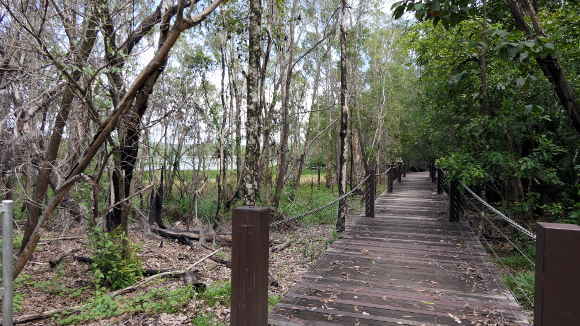 A raised board walk begins at the back of the car park. Walking across the boardwalk brings you to the swimming area with a toilet block and more low picnic tables and BBQ fireplaces. A large sign warns against swimming if a crocodile warning sign has been posted, however the area is monitored and crocodiles are trapped and removed from the dam. The sign explains that "Management practices reduce the risk of Saltwater Crocodiles entering this area." and that " Surveys are conducted regularly", so it's probably safe for swimming. The Manton Dam wall provides a barrier against Salties entering the dam, but no-one can guarantee it will never happen. or check the Government Parks Access website. Camping is not permitted and the area is closed every night. Return from Manton Dam Water Sports park to Enjoy Darwin Home.